Join The Bike Shed Community Team Challenge! The challenge is to be the team that makes the BIGGEST impact in our community by raising the most funds. The winning team will win a team party hosted by The Bike Shed, Tour de Guelph’s official sponsor of The Community Team Challenge. And, of course, bragging rights as well as the right to feel a great sense of accomplishment in knowing that your team will make a difference in the lives of others within our community. Anyone can start a team. Family teams, teams of friends, community groups, corporate teams – we welcome all types of groups to get involved. It’s good for you and good for our community! If you are the one to start a team, as part of the registration process, a team online fundraising page will be created in addition to your personal page. You will be able to manage your team page as well as your personal page. All those to join your team will get a personal page that is connected to your team. Your team page will then show all those who have joined your team plus how much they have each raised. The Bike Shed wants you to ride your bike and feel like a kid again! At the team party, your team members can try out their smart bike trainers and experience the thrill of cycling gaming with Zwift or any other cycling app. Up to eight people can ride at a time. The party may be scheduled for breakfast or lunch and will be catered. For all Tour de Guelph registrants who are a part of a team and who have secured at least one donation, The Bike Shed will offer a 10% discount. You can arrange to ride at The Bike Shed through their Facebook Page. Let them know you’ve registered in The Bike Shed’s Community Team Challenge as part of Tour de Guelph and include the link to your personal fundraising page. The discounted rate applies from the time you register and get your first donation and up to June 21, 2019. Can you top last year's top teams? The Bike Shed offers a space for cyclists to bike inside. Bring your bike, your bike shoes, a towel, water and snacks. 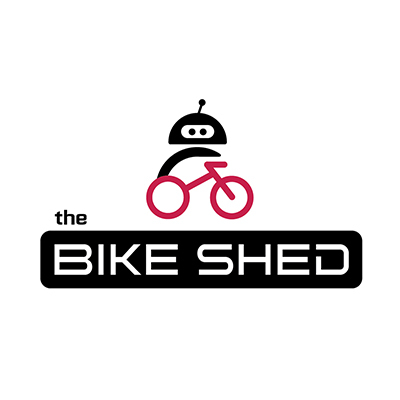 The Bike Shed will set you up on one of their Wahoo Kickr smart trainers and connect you to the Zwift App for a fun and challenging session of cycling gaming. Team Challenge Recruitment Poster – coming soon! Team Challenge Resource Kit – coming soon! A printable version of everything you need to register and manage a team, including how-to’s, poster templates and recruitment and fundraising encouragement email templates as well as ideas and tips for success.